For a poison emergency call 1-800-222-1222 anywhere in the United States. This national hotline number will let you talk to experts in poisoning. This is a free and confidential service. 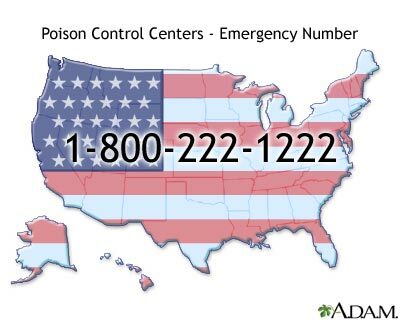 All local poison control centers in the U.S. use this national number. You should call if you have any questions about poisoning or poison prevention. It does NOT need to be an emergency. You can call for any reason, 24 hours a day, 7 days a week.